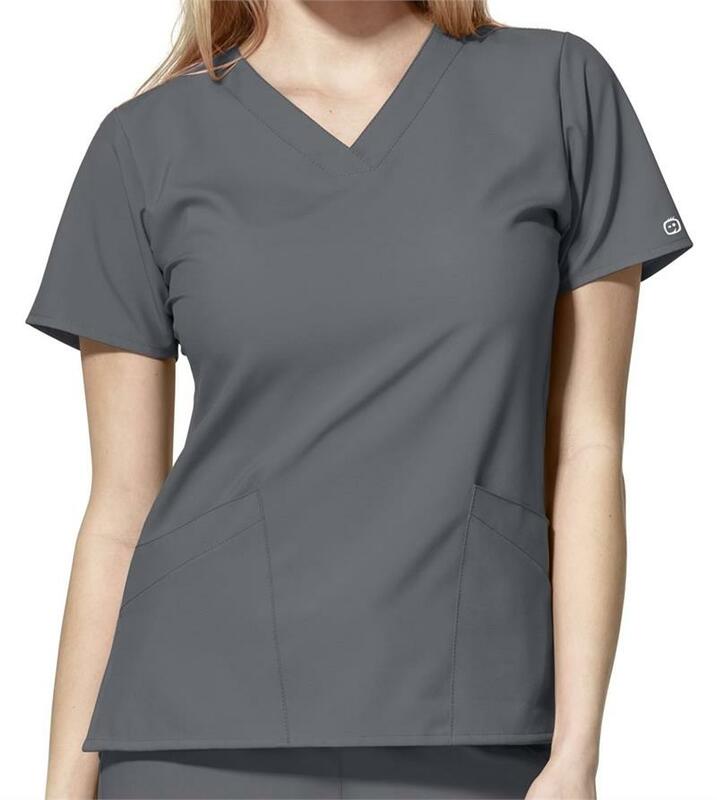 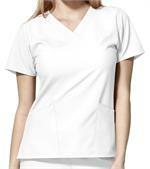 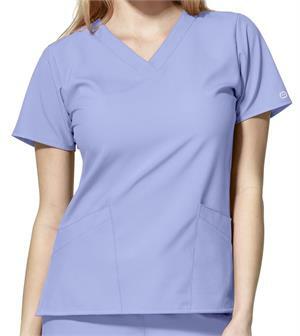 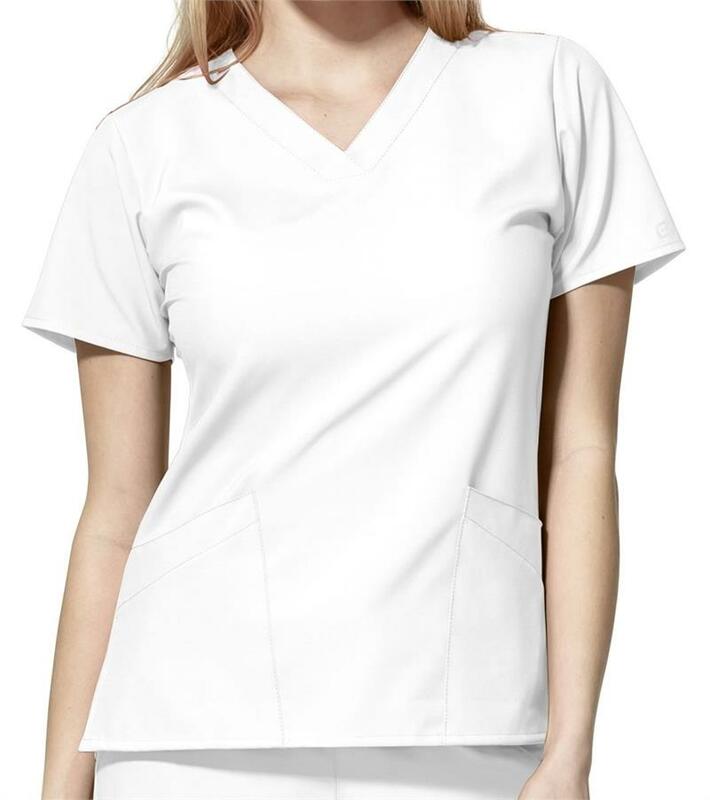 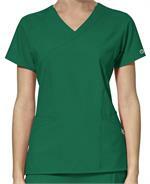 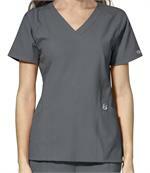 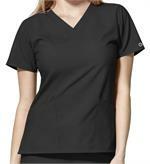 This women's basic v-neck top features a WonderWink Fit, top loading 2 lower pockets, hidden utility loop, WonderWink silicone ring, shoulder badge loop and side vents. 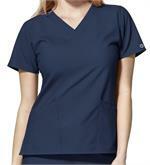 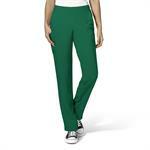 Made of 100% microfiber poly 4-way stretch. 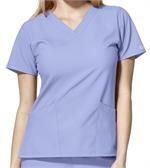 Center back length is 26 3/4".